Need diabetic recipes? 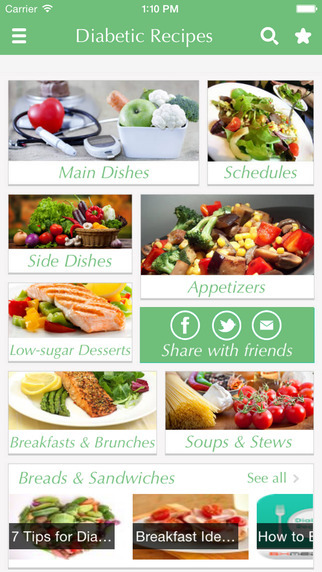 Try our collection of diabetic-friendly recipes in Diabetic Recipe app. 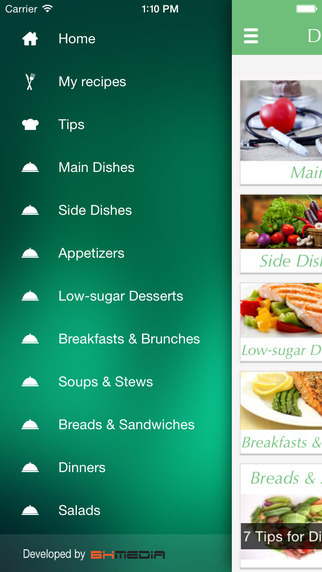 The app includes hundreds of low-fat, low-sugar recipes from appetizers to main dishes, side dishes, and desserts. Recipes provide you complete nutritional and diabetic exchange information, to make diabetic meal planning easy. - Get and share some useful tips for making diabetic recipes.